We’ve done a couple articles focusing on music from different parts of the world. The first looked at emerging sounds from the Netherlands. A second focused on the historical development of the Gothic musical direction in Poland. Well, this one will be a little broader in scope, it will look at the music originating from Latin America, both Central and South America. Now obviously, that’s a lot of territory and a lot of countries. We could certainly do an article on several of these countries individually; however, our intent here is to present a glimpse into some of the activities in selected countries throughout the area where Femme Metal is especially strong. So, we’ll organize the article around individual countries and provide a very limited coverage that will, hopefully, motivate you to further explore the sounds coming from these rich musical cultures. Again, this is by no means intended as a complete overview, nor is it intended to be a “popularity” contest. It is more along the lines of a “snapshot” that points to a very limited number of bands throughout the region. I’ve chosen Chile to begin simply because it’s one of my favorite countries in the region and provides several of my favorite bands. 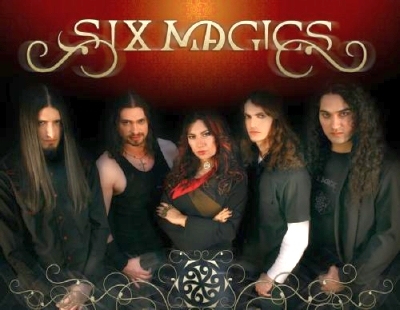 I’ve long been a fan of Six Magics and their lead vocalist Eli Vasquez. We have coverage of several of their works on the Sonic Cathedral Zine. Several of the others have also seen coverage and more are planned. Most of these bands seem to be from around Santiago, the capital, and they reflect music that has both a South American feel as well as mirroring the more traditional Western European sounds. Six Magics is an interesting project. The band was, originally, a male vocal act. With the addition of vocalist Eli Vasquez that changed, significantly. Eli presents a magical vocal style, one that is augmented by male vocals as well as significant supporting vocals and a range of instrumental sounds. Lyrics are not as typically Gothic as some but are clearly influenced by sounds from Western Europe where the band often performs. One of the best of the breed. Sacramento is another act from Santiago fronted by the lovely Laura Vargas. Most of these Chilean bands know each other and often perform together in concert. Sacramento is a bit more oriented towards the guitar metal sounds and band founder and guitarist Alejandro Espinosa provides a first class death metal growl. Interestingly enough, the band name comes from the Spanish term for “Sacrament” and the lyrics tend to follow this direction. A third member of the Chilean sound Mafia is Denun, with another hot Chilean chica, Paula Vilches. The sound here is a little different; they work with a keyboard which makes the sound even more European. There’s no full write-up on the Sonic Cathedral site, but we expect that to change in the near future. Again, the opera vocal is not the thing here, a beautiful South American vocal does it all, with typically interesting material both lyrically and musically. A fourth band from Santiago is the Fallacy. They’re a three person project, and a little more Gothic than the others. Again, no material here on the Zine but this is clearly a sound that demands attention. The three, Angeline, Marco &Nico, put out a solid musical product, with both male and female vocals, as shown in the video below. I don’t know how they do the music, never talked to them, but I intend to, and very soon. Brazil is a HUGE country with a huge population. They produce music in many genres and are known for excellence in a lot of them. Femme Metal is certainly one area of expertise. The bands listed below are a sample and cover several styles. However, given the vast population of the country, there are clearly many more that could be mentioned. 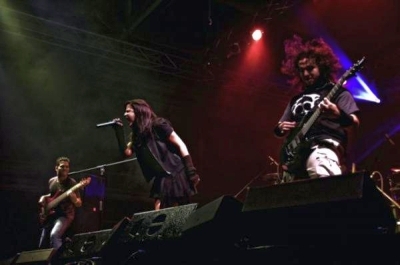 Hydria is a relatively new band that has had a solid history, having worked with Within Temptation and Tarja during visits by those artists to Brazil. The lead vocal is lovely blond Raquel Schuler. They do an interesting mix of original material and covers by other artists who do similar music. Their latest release Poison Paradise can be described with one word, INTENSE. You like hot women, here’s your gold standard. The band is known as Thrash Nervosa, Nervosa Thrash or just plain Nervosa, and I think you know what that means. It’s a harder variety of Femme Metal, but very easy on the eyes. They’ve gotten a lot of strong publicity in Brazil and surrounding territories and just released another limited product. Might get a review here soon, maybe in Portuguese. Elevare is another Brazilian band fronting a solid female vocal. The direction is a bit more Gothic in nature. They put out a first rate CD back a few years ago, we covered it on the Zine but haven’t heard much from them since. Not sure what they’re up to but that first release sure put them on the map. One can only hope there’s more to hear from them in the near future. 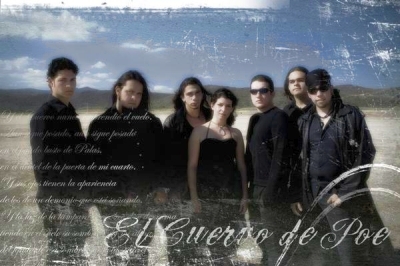 Uruguay is a country not often mentioned in Femme Metal; however, the artist listed below is certainly sufficiently well known to have attracted international participation in his music. 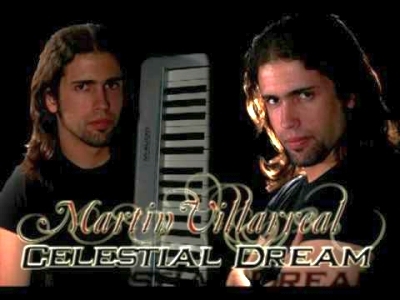 Martin Villarreal is a metal musician from Montevideo. He’s typically been associated with more traditional metal, however he joins this list on the strength of an interesting release where he worked with a number of the top female vocalists from around the world. That release seemed to follow the pattern developed by fellow South American Beto Vasquez and provided one of the more enjoyable multi vocalist productions of the past several years. Colombia is clearly one of the major sites for Femme Metal in Latin America. They even have their own metal female voices festival. That site can acquaint you with many of the bands in the area; we’ll cover a few additional sounds here. Nova Orbis is fronted primarily by a brother / sister vocal and leans a bit towards the Gothic in terms of message. However, the sound is highly diverse and there is a range of style presented in their music. The guitars are killer, the keyboards are a bit South American in nature and there is little to regret in the vocal. You get a feel for the culture, mostly from the keys but occasionally from the guitars. Strong material. An even more Gothic sound comes from Inheritor. The vocal is done by a lovely young Colombian chica with a riveting South American tone. However, this one is more B & B oriented, again with a solid guitar component. The band says they’re influenced by more typical heavy metal sounds, but their work is clearly a South American interpretation of that metal category. The acoustical guitar especially presents a sound hard to ignore, and one that takes us directly back to the South American cultural roots from which it originated. Aggelos is another Colombian Gothic Death Metal band featuring full operatic female vocals typically done in Spanish but with one of the more interesting sounds found on the continent. The band uses a dramatic approach to the music, often done with a Gothic background, heavy use of keys and augmented by solid death metal vocals. Can’t think of much coming out of Europe that can better this approach and I LOVE the Spanish language lyrics. Mexico is another large country and one with a large population. And, being the furthest north of the Latin American countries, it has long had cultural ties to the US where much of this music originated over half a century ago. Consequently, it should come as no surprise that there is a significant Femme Metal component to the metal scene. Here are three of the most interesting. Legion has been around for a while, played a couple MFVF engagements and spent significant time roaming around Europe as well as the Americas. The original vocalist was sufficiently talented to do Mozart and the sound was influenced by their European connections. A new female vocalist on board today but the music continues to be recognizable to most with an interest in this style of music. Nostra Morte means “Our Death”. . . in Italian. An interesting choice of languages, but it’s pretty similar to Spanish, which is the language the band works in much of the time. And, given the band title, don’t expect a lot of happy time chatter. This is Dark Gothic with the vocals delivered by both an operatic female vocal and a male vocal, pretty much a traditional voice but a haunting one, especially when posted across from the equally haunting female vocal. Nice Gothic material, current and sounding just the way we like it. Well, with a name like that you can pretty much figure out what the music is about, even though it is pretty much all done in Spanish. And, interestingly enough, I’m working on a review of their latest as I write this article, and that release is as good as it gets. It’s a significant sound, outstanding vocals, guitars and violin. They work with the big acts when they visit Mexico so they’re familiar with the European sounds. And, their new release, Ex Libris, proves it. Argentina is another large country with a large and culturally diverse population. The country has long had ties to Western European culture and that shows in the Femme Metal scene. The Europeans certainly know about it, Beto Vasquez has long had his pick of Western Europeans to work with, and other sounds tend to mirror what we get from that part of the world. Beto Vasquez is principally a guitar player / composer who is known for working with a wide range of musicians, both vocalists and instrumental musicians. And, he works with the best; doing some of the best music you’re going to hear anywhere. His vocalists include both male and female vocalists, but he generally hits the big ones. There are several releases; you can’t go wrong with any of them. CB is a new act, but one with a wide following. I actually got turned on to the band from my friends in Chile, and it seems others from around the world are familiar with them as well. It’s pretty sophisticated metal, nicely developed by people who are obviously experienced and very talented. Lyrics go in multiple directions but the music is clearly the highlight, exceptionally strong vocals and outstanding instrumental background. A very big name and one to be watched internationally. 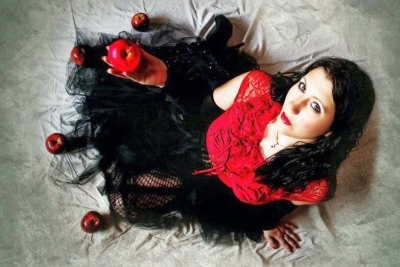 Interestingly enough, the vocalist until 2011 for LumineCriptica was the current vocalist for Cinnamun Beloved, Sabrina Filipcic. 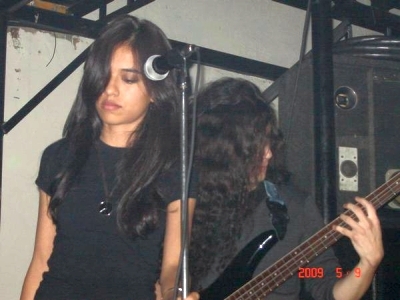 The current vocalist is Ines Vera-Ortiz who has previously been associated with Beto Vasquez. Lots of inbreeding in the Argentinean metal scene. But, this is outstanding material and, if you check their website below, you’re in for a pleasing moment. Venezuela is another country that we don’t expect to find a lot of Femme Metal originating from, however, at least one band from that country managed to impress virtually all the staff at SonicCathedral last year. I suspect there are more, but for now, this should satisfy your need to know from this South American country. Intemperia was one of the biggest hits of the year last year at Sonic Cathedral. They came out of nowhere and pretty much killed everyone on the staff, one of our top bands of the year. It’s a more typical metal sound, but one that can hardly be dismissed. The CD was a long time in the making, but well worth the wait. If you value the Femme Metal scene, you can’t go wrong with the music coming from Latin America. It’s a rich and diverse sound; it reflects a variety of influences including those from the individual countries throughout the region as well as much of the best we get from Western Europe and other locals. Here at Sonic Cathedral we will certainly attempt to introduce sounds from the region as they appear. And we hope you’ll continue to support these and other bands from Latin America who provide a wealth of outstanding music.